We help enterprises in Ontario create at least $100,000 of additional annual value by revamping broken processes and legacy information systems. Take 30 seconds – what’s your biggest fear? What is holding your company back right now? 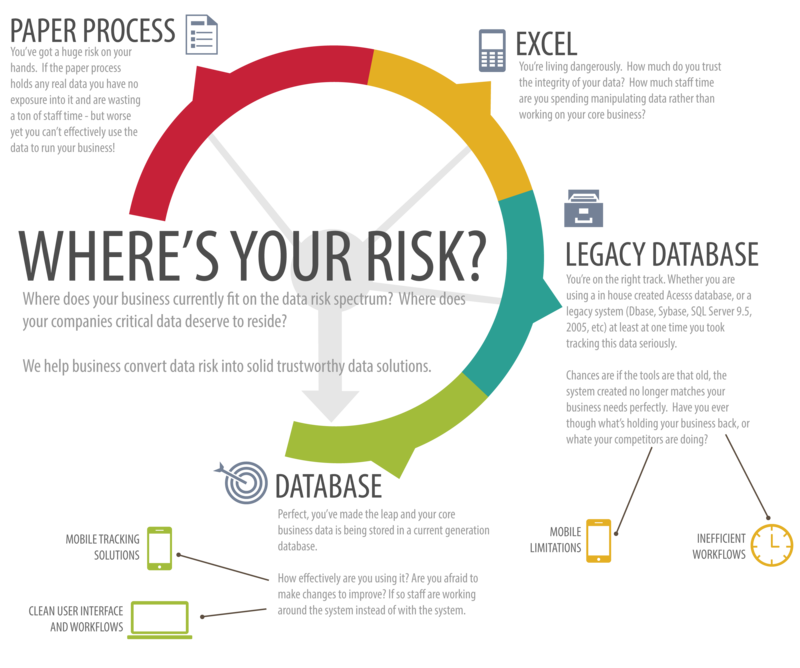 Are you struggling with a Legacy System? Your information system has likely diverged from what your business goals are now compared to when you implemented it years ago. You deserve a fresh approach that matches your real workflow, and gives you the data you need. Are your staff overrun with manual processes? Are you paying salaries to type invoices based on field staff paperwork? Are you digging through boxes of paper to find the data you need to report on? What are your staff tracking outside of your main information system? Before we take on any new clients, we’ll schedule a no cost brief chat for 20 minutes to make sure we’re a good fit and go through any questions you have. What kind of companies benefit from custom software development? We work with Manufacturers, Automotive Service Providers (serving the big three automotive manufacturers in Ontario), Corporate retail stores and franchisees with hundreds of locations. That’s not to say we are exclusive to these industries, in fact we’ve also worked with startups, social service agencies and logistics companies. Whatever your industry, we are happy to chat. I’m Ian Barton, the Founder of Opid Technologies – a bespoke technology consultancy. We are passionate about helping companies succeed – whether that means custom software development, database design and optimization, circuit design, or product prototyping. We ideally work face to face with customers in South Western Ontario. 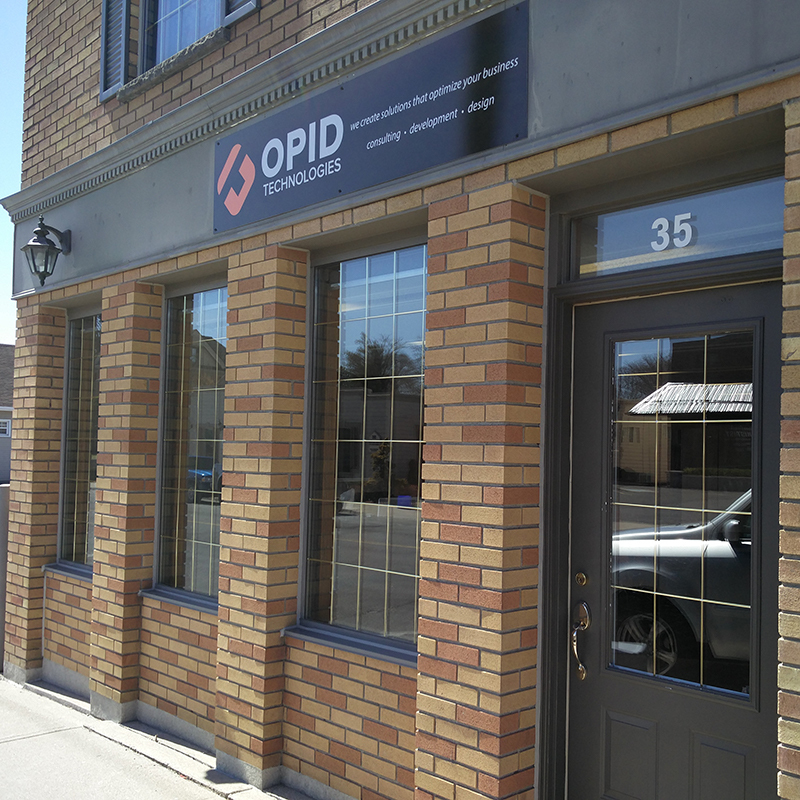 Our office is based out of the awesome little town of Tillsonburg. Our customers come from big cities like Toronto and London to villages that only have 1 stop sign. Regardless of where you are from we want to make your bottom line look better. How much money is your company wasting? We’d love to hear about your business and the challenges you face. We’ll chat for 20 minutes to make sure we’re a good fit and go through any questions you have.